Next week, on September 21, LeEco will announce its latest flagship smartphone, the Pro 3. The Chinese company has been teasing the device quite a bit recently, including by bashing Apple on certain occasions. Suffice to say, it's feeling pretty confident in its next handset. While we've had quite a few leaks about the Pro 3's specs so far, we haven't seen it in live images. Well, until now. A Chinese actor has gotten hold of a unit, and decided to share a couple of photos of it on Weibo, China's Twitter equivalent. Normally you might be inclined to take such leaks with a grain of salt, and understandably so. 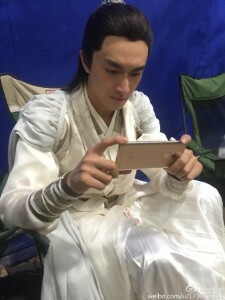 But that's not necessary in this case, because LeEco's official Weibo account reblogged the actor's posting, thus in effect confirming that the device in the shots is the real deal. The company says "see you next week" for the full outing of the "true flagship". So that settles it then, this is the Le Pro 3. 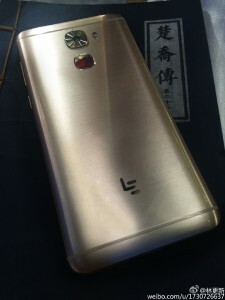 You can see it's yet another full metal body phone, and its overall design is pretty similar to past LeEco offerings. There's a fingerprint scanner on the back underneath the camera, a camera hump, and visible antenna lines, while the power and volume buttons are all on the right side. According to past leaks, the Le Pro 3 will have two hardware versions, both powered by Qualcomm's Snapdragon 821 chipset. One will come with a 5.5-inch 1080p touchscreen, a 16 MP rear camera, an 8 MP selfie shooter, 6GB of RAM, 64GB of storage, and a 4,070 mAh battery. This is the model pictured today. The higher-end iteration of the Le Pro 3 will boast a 5.7-inch QHD touchscreen, dual 13 MP rear cameras, a 16 MP selfie snapper, 8GB of RAM, 256GB of storage, and a 5,000 mAh battery. This tyep smatphon is very Fantassitc condition &good cquality No-1 is India.